Assam (/əˈsɑːm/ (listen)) is a state in India, situated south of the eastern Himalayas along the Brahmaputra and Barak River valleys. Assam covers an area of 78,438 km2 (30,285 sq mi). The state is bordered by Bhutan and Arunachal Pradesh to the north; Nagaland and Manipur to the east; Meghalaya, Tripura, Mizoram and Bangladesh to the south; and West Bengal to the west via the Siliguri Corridor, a 22 kilometres (14 mi) strip of land that connects the state to the rest of India. Myanmar lies in about 1 hour distance connected to the easternmost part of Assam through the Ledo Road. Despite the commercial success, tea labourers continued to be exploited, working and living under poor conditions. Fearful of greater government interference, the tea growers formed the Indian Tea Association in 1888 to lobby to retain the status quo. The organisation was successful in this, but even after India's independence, conditions of the labourers have improved very little. The post 1970s experienced the growth of armed separatist groups such as the United Liberation Front of Asom (ULFA) and the National Democratic Front of Bodoland (NDFB). In November 1990, the Government of India deployed the Indian army, after which low-intensity military conflicts and political homicides have been continuing for more than a decade. In recent times, ethnically based militant groups have grown. Panchayati Raj Institutions have been applied in Assam, after agitation of the communities due to the sluggish rate of development and general apathy of successive state governments towards Indigenous Assamese communities. Asom Gana Parishad (translation: Assam Peoples Association, AGP) is a state political party in Assam, India. The AGP was formed after the historic Assam Accord of 1985 and formally launched at the Golaghat Convention held from 13–14 October, 1985 in Golaghat, that let Prafulla Kumar Mahanta to be elected as the youngest chief minister of the state. The AGP has formed government twice from 1985 to 1989 and from 1996 to 2001. The party split, with former Chief Minister, Prafulla Kumar Mahanta, forming the Asom Gana Parishad (Progressive), but regrouped on 14 October 2008 in Golaghat.The party won 14 seats out of 126 in the 2016 Legislative Assembly Elections; a historic win for the party. Further, it shares power with the Bodoland People's Front and Bharatiya Janata Party. Currently it is a part of North-East Regional Political Front consisting of political parties of the northeast which has supported the National Democratic Alliance (India). 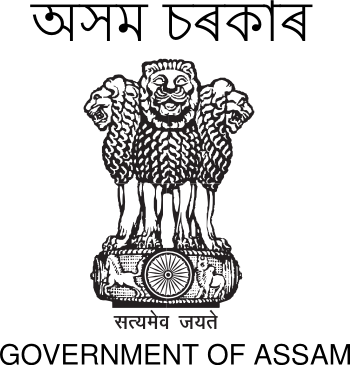 The Assam Legislative Assembly is the unicameral legislature of the Indian state of Assam. It is housed in Dispur, the capital of Assam, geographically situated in present Western Assam region. The Legislative Assembly comprises 126 Members of Legislative Assembly, directly elected from single-seat constituencies. Its term is five years, unless sooner dissolved. The Assam Rifles is the oldest paramilitary force of India. The unit can trace its lineage back to a paramilitary police force that was formed under the British in 1835 called Cachar Levy. Since then the Assam Rifles have undergone a number of name changes—the Assam Frontier Police (1883), the Assam Military Police (1891) and Eastern Bengal and Assam Military Police (1913), before finally becoming the Assam Rifles in 1917. Over the course of its history, the Assam Rifles and its predecessor units have served in a number of roles, conflicts and theatres including World War I where they served in Europe and the Middle East, and World War II where they served mainly in Burma. In the post World War II period the Assam Rifles has expanded greatly as has its role. There are currently 46 battalions of Assam Rifles with a sanctioned strength of 63,747 personnel.It is under the control of the Indian Ministry of Home Affairs (MHA) and they perform many roles including the provision of internal security under the control of the army through the conduct of counter insurgency and border security operations, provision of aid to the civilians in times of emergency, and the provision of communications, medical assistance and education in remote areas. In times of war they can also be used as a combat force to secure rear areas if needed. Since 2002 it has been guarding the Indo–Myanmar barrier as per the government policy "one border one force". Assam tea is a black tea named after the region of its production, Assam, in India. Assam tea is manufactured specifically from the plant Camellia sinensis var. assamica (Masters). The same tea plant is also traditionally used in Yunnan province in China. Assam tea is mostly grown at or near sea level and is known for its body, briskness, malty flavour, and strong, bright colour. Assam teas, or blends containing Assam, are often sold as "breakfast" teas. For instance, Irish breakfast tea, a maltier and stronger breakfast tea, consists of small-sized Assam tea leaves.The state of Assam is the world's largest tea-growing region, lying on either side of the Brahmaputra River, and bordering Bangladesh and Myanmar. This part of India experiences high precipitation; during the monsoon period, as much as 10 to 12 inches (250–300 mm) of rain per day. The daytime temperature rises to about 96.8F (36 °C), creating greenhouse-like conditions of extreme humidity and heat. This tropical climate contributes to Assam's unique malty taste, a feature for which this tea is well known. Historically, Assam has been the second commercial tea production region after southern China, the only two regions in the world with native tea plants. The introduction of the Assam tea bush to Europe is related to Robert Bruce, a Scottish adventurer, who apparently encountered it in the year 1823. Bruce reportedly found the plant growing "wild" in Assam while trading in the region. Maniram Dewan directed him to the local Singpho chief Bessa Gam. Bruce noticed local tribesmen (the Singhpos) brewing tea from the leaves of the bush and arranged with the tribal chiefs to provide him with samples of the leaves and seeds, which he planned to have scientifically examined. Robert Bruce died shortly thereafter, without having seen the plant properly classified. It was not until the early 1830s that Robert’s brother, Charles, arranged for a few leaves from the Assam tea bush to be sent to the botanical gardens in Calcutta for proper examination. There, the plant was finally identified as a variety of tea, or Camellia sinensis var assamica, but different from the Chinese version (Camellia sinensis var. sinensis). Bhupen Hazarika (8 September 1926 – 5 November 2011) was an Indian playback singer, lyricist, musician, singer, poet and film-maker from Assam, widely known as Sudhakantha. His songs, written and sung mainly in the Assamese language by himself, are marked by humanity and universal brotherhood and have been translated and sung in many languages, most notably in Bengali and Hindi. His songs, based on the themes of communal amity, universal justice and empathy, have become popular among the people of Assam, besides West Bengal and Bangladesh. He is also acknowledged to have introduced the culture and folk music of Assam and Northeast India to Hindi cinema at the national level. He received the National Film Award for Best Music Direction in 1975. Recipient of Sangeet Natak Akademi Award (1987), Padmashri (1977), and Padmabhushan (2001), Hazarika was awarded with Dada Saheb Phalke Award (1992), India's highest award in cinema, by the Government of India and Sangeet Natak Akademi Fellowship (2008), the highest award of the Sangeet Natak Akademi, India's The National Academy for Music, Dance and Drama. He was posthumously awarded the Padma Vibhushan, India's second-highest civilian award, in 2012. Hazarika also held the position of the Chairman of the Sangeet Natak Akademi from December 1998 to December 2003. He was posthumously awarded the Bharat Ratna, India's highest civilian award, in 2019. Guwahati (Pragjyotishpura in ancient Assam, Gauhati in the colonial era) is the largest city in the Indian state of Assam and also the largest urban area in Northeast India. A major riverine port city and one of the fastest growing cities in India, Guwahati is situated on the south bank of the Brahmaputra.The ancient cities of Pragjyotishpura and Durjaya (North Guwahati) were the capitals of the ancient state of Kamarupa. Many ancient Hindu temples are in the city, giving it the name "City of Temples". Dispur, the capital of Assam, is in the circuit city region located within Guwahati and is the seat of the Government of Assam. Guwahati lies between the banks of the Brahmaputra River and the foothills of the Shillong plateau, with LGB International Airport to the west and the town of Narengi to the east. The North Guwahati area, to the northern bank of the Brahmaputra, is being gradually incorporated into the city limits. The noted Madan Kamdev is situated 30 kilometres (19 mi) from Guwahati. The Guwahati Municipal Corporation (GMC), the city's local government, administers an area of 328 square kilometres (127 sq mi), while the Guwahati Metropolitan Development Authority (GMDA) is the planning and development body of greater Guwahati Metropolitan Area. Guwahati is the largest city in Northeast India.The Guwahati region hosts diverse wildlife including rare animals such as Asian elephants, pythons, tigers, rhinoceros, gaurs, primate species, and endangered birds. Himanta Biswa Sarma (born 1 February 1969) is an Indian politician and an youth Icon who has served as MLA from the Jalukbari constituency in Assam from 2001 till 2015 from Indian National Congress ticket and from May 2016 as Bharatiya Janata Party member. A former member of the Indian National Congress, Sarma joined Bharatiya Janata Party in August 2015.Sarma won the 2016 Assembly elections and was sworn in as Cabinet Minister on 24 May 2016. The BJP leadership appointed him the convener of the newly constituted North-East Democratic Alliance (NEDA). The main objective of the alliance will be all-round development of the North East and better coordination among the states and Centre, according to Ram Madhav, National General Secretary of BJP. Kaziranga National Park (pronounced Assamese pronunciation: [kaziɹɔŋa ɹast(ɹ)iɔ uɪddan]) is a national park in the Golaghat and Nagaon districts of the state of Assam, India. The sanctuary, which hosts two-thirds of the world's great one-horned rhinoceroses, is a World Heritage Site. According to the census held in March 2018 which was jointly conducted by the Forest Department of the Government of Assam and some recognized wildlife NGOs, the rhino population in Kaziranga National Park is 2,413. It comprises 1,641 adult rhinos (642 males, 793 females, 206 unsexed); 387 sub-adults (116 males, 149 females, 122 unsexed); and 385 calves. In 2015, the rhino population stood at 2401. Kaziranga is home to the highest density of tigers among protected areas in the world, and was declared a Tiger Reserve in 2006 (now the highest tiger density is in Orang National Park, Assam) . The park is home to large breeding populations of elephants, wild water buffalo, and swamp deer. Kaziranga is recognized as an Important Bird Area by BirdLife International for conservation of avifaunal species. When compared with other protected areas in India, Kaziranga has achieved notable success in wildlife conservation. Located on the edge of the Eastern Himalaya biodiversity hotspot, the park combines high species diversity and visibility. Lower Assam (also Western Assam) is a region situated in Western Brahmaputra Valley encompassing Kamrup and Goalpara regions. The term "Lower Assam" is often a misnomer in spite of popular usage to refer the region. In scholary circles Western Assam was more frequently used to accurately define the region and differentiate it from Lower Assam Division. Soon after the formal creation of the British districts in 1833, Lower Assam denoted one of the five initial districts that were created west of the Dhansiri river, which, along with the six paraganas, became a single district of Kamrup in 1836.It was home to the mighty kingdom of Kamarupa (3–12 AD), ruled by Varman's and Pala's from their capital's Pragjyotishpura (Guwahati) and Durjaya (North Gauhati). Today Guwahati is the largest city of North-East India while Dispur, the capital of Assam, is within the town. National Highway 17 (NH 17) is a National Highway in India running from Sevoke in West Bengal to Guwahati in Assam. This Highway runs mainly through the hilly terrain. It starts from its junction with NH-10 near Sevoke and connects Bagrakote, Chalsa, Nagarkata, Goyerkata, Birpara, Falakata, Sonarpur, Coochbehar, Tufanganj in West Bengal; Golakganj, Bilasipara, North Salmara, Goalpara, Boko and terminating at its junction with NH-27 near Guwahati in Assam. Sarbananda Sonowal (born 31 October 1961) is an Indian politician who has been Chief Minister of Assam since 2016. He was elected to the 16th Lok Sabha from the Lakhimpur Lok Sabha constituency in Assam as a member of the Bharatiya Janata Party. He has previously served as the president for BJP Assam, and is also a Nationacsa Executive Member of the party. Sonowal was the president of the All Assam Students Union from 1992 to 1999. Until January 2011, he was a member of the Asom Gana Parishad (AGP) political party but later joined the Bharatiya Janata Party.In May 2016, he was elected to the Assam Legislative Assembly from Majuli and was sworn in as the 14th Chief Minister of Assam.